Sermon preached on Hebrews 12:3-11 by Rev. 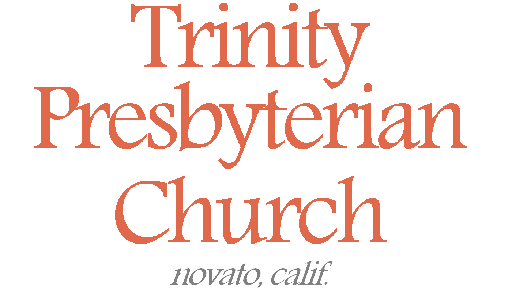 W. Reid Hankins during the Morning Worship Service at Trinity Presbyterian Church (OPC) on 1/13/2019 in Novato, CA. This letter repeatedly points to an original audience that had been experiencing persecutions and sufferings for being a Christian. The fact that saved Christians can experience such hardship in this life is only one example of a much broader reality. Christians aren’t protected from troubles in this life. Rather, today’s passage shows us how we might especially expect them. Because this passage shows that the Christian’s relationship to God is one of a child to a father. Accordingly, our heavenly father is concerned about our spiritual growth and formation. God will use various means, including persecutions and tribulations, as he deems wise, in our rearing. This will be our topic then to explore today. Let’s begin by noting the word “chastening” throughout this passage. We see it first in verse 5, and there it is a quote from Proverbs 3:11. This word defines what we are talking about today and I think it would be helpful first to define this term. I’m not overly pleased with the translation found here and in the KJV as “chastening” because that puts a primary emphasis on corrective punishment which I believe is only one of several things included in this Greek word. Most other major English translations translate it as “discipline” which is somewhat better because it’s a word that has a little more comprehensive nature to it, but even then I’d want to say more. The Greek word behind this is paideia which comes from the root for child and refers to the rearing and raising up of a child. This Greek word which was a rather important word to the Greeks and Romans and so they wrote a lot about it. In such writings, we see that paideia included a wide range of formation for the child, including not only academic education, but also the inculcation of culture and virtue in the child. As such, the chastening of punitive discipline was certainly part of what was used to accomplish such child rearing, but the word encompasses more than simply discipline through the rod. It’s more about parenting than punishments, though good parenting will include punishments when needed. It might be helpful to note that Hebrews here references this concept of child rearing from the Old Testament. That means the meaning of the Hebrew word surely should give some influence to our understanding of this word and concept here in Hebrews. Well, in Biblical Hebrew, we find that the word also has a range of usage besides simply correction via punishment. For example, this quote comes from Proverbs 3, but in Proverbs 4:1, it says “Hear, my children, the instruction of a father.” That word translated as “instruction” in the NKJV is the same word translated as “chastening in Proverbs 3:11. Meanwhile this is the same word used in Proverbs 13:24 when talking about not sparing the rod. My point is that this word in Hebrew, like in Greek, includes punitive correction, but it’s more broad concern is about the positive formation of an individual. Why is this important? Well, for one reason, it tells us that what God is doing in our life in this regard is meant for our growth and our good. But even more specifically, this helps us to rightly appreciate and apply the context here that includes verses 3 and 4. Notice that we have in verse 3 the description of Jesus enduring troubles in this life. He endured persecutions from sinners. That’s what our attention is drawn to before talking about this godly chastening. Add to this what we find back in Hebrews 5:8 about Jesus; it amazingly said that Jesus learned obedience by the things which He suffered. In other words, even though Jesus was sinless and perfect, God the Father had him in some way learn in his humanity through suffering. Jesus’ example is presented to us at the start of this passage on God’s rearing of us. This passage includes talking about how God as our father has to punish us sometimes for our sins. But by starting off here with Jesus in verse 3, we should remember that not all suffering in life is God giving fatherly punishment to us for our sin. Verse 4’s reference to bloodshed surely reminded them and us that we too might experience Christian persecution. But the fact that we experience persecution or suffering in life doesn’t mean we’ve done something wrong. Just because we suffer in some way doesn’t necessarily mean we did some specific sin to bring that suffering upon ourselves. It might be the case, but isn’t necessarily the case. We know this because sinless Jesus experienced much suffering but was without sin. But I think the point is that God as our father nonetheless uses such sufferings as part of the way he rears us and raises us as a child. And that is why I want us to understand that the word translated “chastise” here really is a broader concept of rearing and parenting a child unto maturity. It includes corrective punishment when needed; verse 6, for example, rightly translates that the Lord scourges every son he receives. But this child rearing, this paideia by God, also includes other pedagogical tools that God may use in our spiritual growth: even the allowing of suffering and persecution, to accomplish his sovereign purposes. So then, let’s turn now to look at the several benefits that we can derive from God’s parenting of us. One benefit is that it is proof of genuine and full sonship. The Bible declares that believers in Christ receive the benefit of adoption. We are adopted as God’s sons such that we have a divine sonship that unbelievers do not have. That doctrine of adoption here is developed in this passage in the context of this parental rearing. Verse 7 says that God’s paideia of us shows that God is dealing with us as sons. It makes the point that this is what fathers do for their sons. They rear them including chastening as needed. Verse 8 says that if they didn’t, it would show that you were an illegitimate child. In other words that you were a child that didn’t have legal status as an offspring. Typically, back then, that meant you were child born out of wedlock; such as when a man had a child with a slave. The law back then recognized that children born to the wife had full rights, including rights of inheritance; whereas children born through slaves or concubines had much less legal rights. Along these lines, if someone was adopted as a son, they too would have more legal rights of say inheritance than such illegitimate children. And so, this passage says that as we recognize the parenting and discipline of the Lord in our life, we should be encouraged. It’s a tangible demonstration that we are in fact adopted of the Lord. As the WSC 34 states about our adoption, it means that we are received into the number and have a right to all the privileges of the sons of God. A second benefit to mention of this fatherly discipline and rearing is found in verse 9. Notice the last word in that verse: live. It speaks of how God’s correction of us results in our life. Humanly speaking, if God didn’t discipline his children we could end up falling away. We could be sheep that wander off and are lost. But God shepherds his people so that we live unto eternal life. This truth doesn’t conflict with the doctrine of the perseverance of the saints. It is the doctrine of the perseverance of the saints. Part of how he preserves us so we don’t fall away is his fatherly discipline and rearing. A third benefit of God’s fatherly parenting and rearing of us is found in verse 10 where it talks about this being for our profit. God’s fatherly discipline is for our good! The specific profit mentioned there is holiness. More specifically, that we would partake in God’s holiness. When you think of parenting, a lot of it is trying to shape the child after your own image. Or at least as flawed human individuals, we try to shape our kids after our best parts and hopefully can prune away our bad parts. Well, our Heavenly Father, is looking to form his own holiness within us. The language in verse 10 sees this as a goal of God’s parenting of us. Similarly, the language in verse 11 of the present versus the future implies it’s a goal that will ultimately be realized. Yes, not in this life. But God’s trajectory for us is in our sanctification is that we are beginning in this life to partake of God’s holiness. And in glory, he will complete that sanctification and we will partake perfectly in that holiness; at least as much as finite creatures can participate in the holiness of the infinite God. Likewise, another benefit of God’s rearing of us is that “peaceable fruit of righteousness” mentioned in verse 11. Not only is this described as “fruit” that comes from God’s fatherly care of us, but it also is described there as the result of training. That word for training is an athletic term and reminds us of the way that improvement and growth comes over time and hard work and much practice. But it says that this benefit is of righteousness, a righteousness described as peaceable. Righteousness, of course, is about conforming to God’s laws. God’s rearing of us is to form such law keeping within us. He us making us a righteous person. We could think of various aspects that would make such righteousness peaceable but one that comes to my mind is in our relationship with the Lord in terms of parental discipline. Think about what a home today is like when the children are disobeying the parent’s rules. There is a lack of peace in the house when the parents have to constantly try to correct their kids. That correction might even involve much weeping and tears when a well applied spanking is delivered as the punishment. But the more the children learn to keep the parents’ rules, then the more there is peace in the house. Likewise, God’s correction and discipline and rearing is training us to keep his rules. This is indeed peaceable fruit; fruit that results in peace and harmony, especially in our relationship with our heavenly father. So then, I hope you have begun to appreciate some of the benefits of our God’s fatherly care for us. How then should we respond to the various aspects of such divine parenting of us? Many things are mentioned here. Let’s survey the various right responses mentioned here. The first one to mention is in verse 3. Some of God’s parenting of us may involve his permitting persecutions and sufferings in our life. The response that is commended in verse 3 is to “endure” them in faith; that word “endure” is connected in verse 7 with God’s rearing of us. As we mentioned, not all suffering we experience is because of personal sin, though sometimes it is. But if in verse 10 we are reminded that earthly parents raise their children “as seems best to them”, we know that God does the same. Yet, God’s judgment and discretion is perfect where our earthly parents is not. Our earthly parents surely made some mistakes in their parenting of us, but God does not. If God allows some persecution or suffering in our life, for whatever reason, let us endure it in faith. We can do this, even if we don’t know the reason, because we trust he knows the reason, and that it is ultimately for our good. Yes, we recognize that the sufferings themselves may not be good in themselves. Just like verse 11 mentions how chastening can be painful in the moment. But God’s perspective on our lives is far above our own. Let us trust that he has things under control. A second response commended here is in verse 4. There it mentions continuing to resist the opposition. That language in verse 4 is fighting language. As God parents us spiritually, we need to keep on fighting the good fight. When we stand against the world who persecutes, God is with us and growing us. As we stand against the sin that still remains in us and looks to entangle us, God’s parenting us through that. As it goes on to say in verse 4, we need to be striving against such sin. We strive and fight and combat sin because that’s what our heavenly father commands us to, and we trust that he is growing us through the battles. A third commended response is found in verse 5. There, in reference to the proverb on God’s fatherly care of us, we see that this is something to not forget. We are not supposed to forget the value of God’s fatherly care. Likewise, it goes on to say there in the proverb to not despise this discipline. In other words, we aren’t to think lightly of it, rather we are to see the value in it. When we see God discipline and correct us, we might be tempted to forget that this is good, or worse just hate being disciplined. I don’t think the typical kid tends to think that the discipline is for their good at the moment that a corrective measure is being applied. But children, remember that discipline, is supposed to be for our good. Likewise, all of us must remember that God’s discipline and correction for us is of great value to us. A fourth commended response also comes in the proverb that’s quoted in verse 5. We are told to not be discouraged by it. Chastening can be hard. Earthly parents have to be careful to not be so harsh with their children that they discourage them. We don’t want our kids to grow weary of our correction and just want to give up. Sometimes earthly parents can unnecessarily cause such discouragement in their discipline. That’s the parent’s fault. On the other hand, sometimes the child being disciplined is just giving up too easily. Well, God is never at fault in his fatherly care of us. Sometimes we can be discouraged. Sometimes we can be tempted to despair. I think of even how Jesus suffered at the eve of the cross with great anguish of soul in light of what awaited him. In those darkest of struggles, we remember the many psalms that bring such expression to words and we can draw from those in our own prayers to God for help. But by the grace of God may we not so sink in despair as to give up. But rather may we recognize and trust that our Heavenly Father is caring for us and growing us through even the most challenging of times. And of course, if the suffering is self-imposed, meaning that it is a divine chastening that is coming upon us because our sin, instead of giving up in despair, let do what we are supposed to in that circumstance: repent of that sin and turn back to the Lord’s way. A fifth commended response is to grow in respect and subjection to the Lord. In verse 9, we see the way discipline from earthly parents can and should yield respect for our parents. Verse 9 then turns that around with a call for us to have submission to our heavenly father. I think that sometimes these lessons can be hard to learn. In human parenting, we can think of the type of child known as the strong-willed child. In that situation, both the parent and the child might experience much grief in the process of developing respect from the child to the parent. Similarly, as a Christian may we remember the repeated teaching of Scripture that a heart hardened against submission to God is not good. Stubborn defiance against the LORD does not prosper. Our wills will not win against the Lord. Let us instead look to be growing in showing God the respect, honor, and submission due to the one who is the Creator and Lord of all the universe! A sixth and final commended response to mention to day is let us be trying to work in line with his parenting and not against it. So, for example, we read here that his nurture of us is growing us in holiness and righteousness. Let us look to walk closer toward those things than away from them. That is surely how things will go best for us. I remember in the parenting book Shepherding a Child’s Heart it speaks of how obedience and honor to parents places you in a circle of blessing. That is certainly all the more true in terms of our relationship to God as his adopted children. Let us look to honor and submit to him as our father and authority. In conclusion, brothers and sisters, I hope you can see the good news behind all of this. God has not only forgiven our sins in Jesus Christ. He didn’t just let us out of jail and leave us to wander aimlessly through life on our own. No, the salvation that we have in Jesus Christ is to sonship. And to sonship means to be conformed to the image of the Son, Jesus Christ. This is what God’s paideia is accomplishing in us. He is forming the image of Christ his Son in us! As this chapter will go on to say in verse 14, there is a holiness we must have in order to eventually see God. But that’s the holiness that verse 10 says God’s cultivating in us right now through his rearing of us. Be encouraged then today, that this too is part of what it means to be saved in Christ. God graciously and lovingly parents us unto glory. As we continue to look to heed the call of this book of Hebrews to persevere unto faith, may we continue to do so looking unto our God for help. Find our growth even in how God parents us spiritually now. Praise the Lord! Amen.